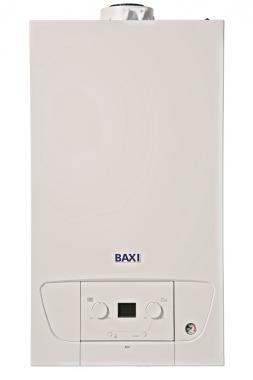 This boiler has been made and manufactured with high quality Baxi parts, featuring condensing capabilities as well as convenient wall-mounted fixtures. This particular boiler has an 89.2% efficiency percentage making it a B rated boiler. And of course the power output has a maximum of 18kW making the unit perfect for those smaller properties that does not have such a high demand for hot water. Being very compact, this boiler fits nicely into any standard sized cupboard in order for you to save space in your home should you like to. As well as being compact, it’s important to note that this boiler only weighs 19.5kg which is said to be the lightest boiler in the UK - which of course makes installation much simpler, and a bit cheaper. If you were looking for other outputs, the full rage is available in 12kW, 15kW, 18kW, 24kW and 30kW systems - something for all requirements. This unit also comes with 5 years of warranty so you have that extra peace of mind.